The city of Melbourne is considered to be the most populous city in the entire country of Victoria, Australia. The postcode of Melbourne is 3000 and it’s Geo Location is Latitude: -37.815206388889 and Longitude: 144.96393694444. It serves as a capital city for all other towns. The name of the city links towards an urban agglomeration which is of 9992 kilometers square. The city carries within almost 31 municipalities which makes it a major metropolitan area. The city is spread over a majority area of the Port Phillip. The total population of the city is around 5 million, which includes almost 19 percent of the entire population of the country. The residents of Melbourne are referred to as Melbournians. The city of Melbourne came into being on the 30th of August in the year 1835. The area in which it was founded was known to be a British colony, namely New South Wales. This was done by a group of free settlers who had come from Van Demands Land. Later this city gained recognition as a crowned settlement in the year 1837. The name Melbourne was given to this city with an attempt to show honor to the British Prime Minister of the land, namely William Lamb 2nd Viscount Melbourne. Melbourne has been provided with the status of an international culture Centre, which is a great honor. Apart from being the international culture Centre, Melbourne is also known to be a cultural capital of the country Australia. The major factors which have led to the city gaining its status in such regard are its various festivals, cultural events, television, literature, films, dramas, music, comedy, art etc. 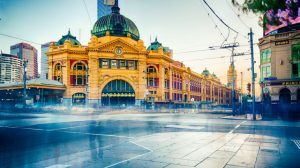 The reason why Melbourne is considered to be a great holiday destination is its waterfront location, the friendly climate, and exciting nightlife. 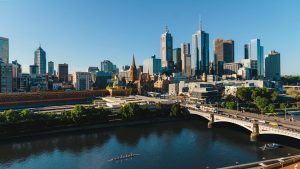 The broad culture that this city offers has played a major role in maintaining Melbourne’s top position in the list concluding the world’s most liveable cities.